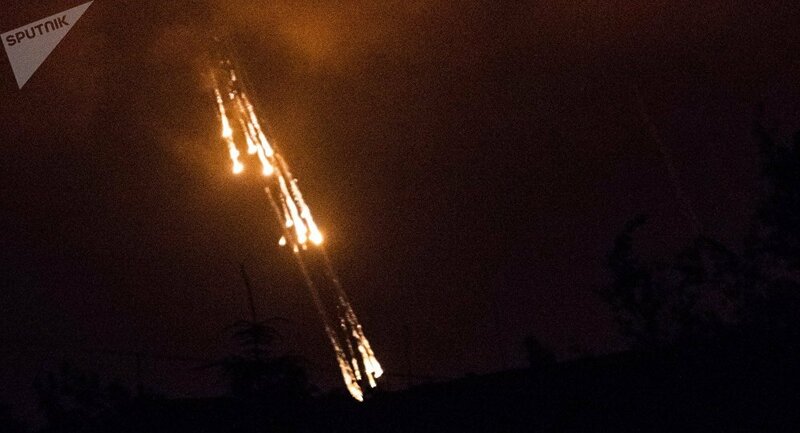 Russia’s evidence that Kiev has used phosphorus bombs against civilians should force the international community to put pressure on the Ukrainian authorities and make them stop the punitive operation in the country’s east, Russian diplomat Konstantin Dolgov said Friday. MOSCOW, July 25 (RIA Novosti) – Russia’s evidence that Kiev has used phosphorus bombs against civilians should force the international community to put pressure on the Ukrainian authorities and make them stop the punitive operation in the country’s east, Russian diplomat Konstantin Dolgov said Friday. “This information should help prompt the world community to influence Kiev in putting an end to the punitive operation. The result is numerous casualties among the civilians,” the Russian Foreign Ministry’s Special Representative for Human Rights, Democracy and the Rule of Law wrote on Twitter. Dolgov commented on the recent reports by the Russian Defense Ministry that Ukrainian troops used phosphorus ammunition during the attacks against independence supporters. Earlier on Friday, a representative of Russia’s General Staff in an interview with Rossiya 24 channel said that Moscow has “reliable confirmation that phosphorus ammunition” in the populated areas of Ukraine. Chief Surgeon of the Armed Forces of Russia Nikolai Efimenko said that the use of phosphorous bombs may have irreversible consequences on people and may also have a negative impact on the environment. Phosphorous poisoning may cause serious illnesses and even lead to death.